Drying and firing processes are essential steps in making thick film circuits. The purpose of drying is to remove the organic solvents and improve the film to substrate adhesion, making the products ready for further firing process. Drying temperature is about 100C-150C. IR furnace is usually used for thick film drying. The purpose of firing is to realize the electrical properties of the ink/paste, and further improve film-substrate bonding. Firing profiles are different according to different paste/ink recipes. Usually paste/ink manufactures will recommend the profiles. 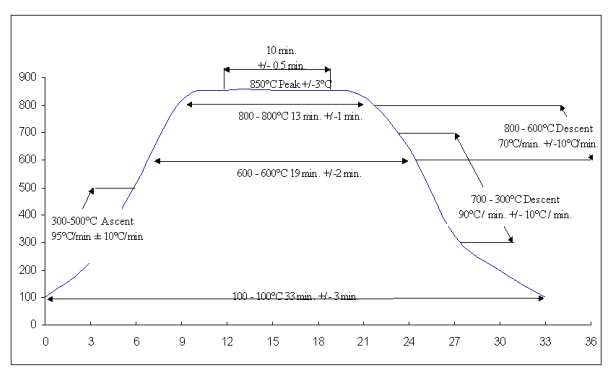 Fig 1 is a typical thick film firing profile from Dupont. HSG series furnaces use IR heating tube to achieve the temperature range for thick film drying applications. L3700mm/146" x W1200mm/47" x H1530mm/60"
HSK Series rapid firing furnace features an ultra-clean low-mass refractory heating chamber. The HSK model heats from ambient to 1,050°C in approximately 40 minutes, and is designed to sustain continuous on/off heating and cooling cycles resulting from alternating periods of production and non-us. Below are some brief technical specifications.